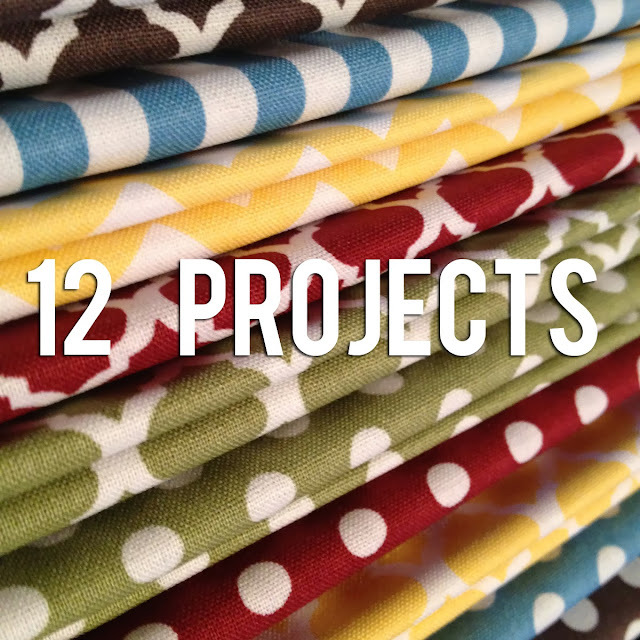 Each month my goal is going to be to finish one "old" lingering project. I have more than a few. So rather than focus on a long list of things I want to do each month, I'm just focusing on one big goal. Some are bigger than others, but all are manageable. 1. Tom's Quilt This quilt is a belated college graduation gift for my brother (we won't talk about how belated it is...). I have all the fabric and I'm in the middle of piecing it. When it's finished it will be a King-sized double irish chain patterned quilt in reds, oranges, browns and whites. Planning on sending it out for long-arm quilting to finish it! 2. Katie's Quilt This quilt is a belated college graduation gift for my sister (we also won't be talking about how belated this one is either!). I have all the fabric already and a pattern picked for this one as well. Also planning on sending it out for long-arm quilting to finish it off. 3. Rag Quilt for Me We have one rag quilt already, but I want my own for the couch downstairs! I have the fabric, just need to make it.... are you noticing a theme here?! 4. Chevron Quilt for Living Room I bought the fabric based on a pattern I liked.... just need to make it. This will also be going out for long-arm quilting when I finish piecing it. 1. Disneyworld Scrapbook This is the oldest, lingering project I have. It's about halfway done, but it was my first scrapbook project and, well, let's face it.... times have changed. It's taking up a ton of space, all the photos are printed, I just need to DO IT. And get it over with so I can cross it off the list permanently! 2. Vermont Scrapbook Of all the projects on this list, this one is the closest to being complete. I don't have many pages left, so I really just need to finish it. All the photos are printed and I maybe have 90% of the layouts done. 3. Creighton's Baby Book All the foundation pages are done, just time to pick and print photos and get it finished up. 4. Abby's Baby Book I have the album.... but that is about it. I need to just make some time, dig through my older scrapbooking supplies and make it happen. Pictures still need to be sorted through, picked out and printed as well. 1. Photo Books for 2001-2013 I want to convert all of our photos into digital photo books. I figure I will tackle the years in sections but I'm not sure how this will actually break down yet. 2. Photo Book for Our Wedding We have all the photos printed in albums, but they are taking up a ton of space, so I want to convert them to one digital photo book. That's a good way of goal-setting. I thought about making a similar goal about completing unfinished projects, but decided against it for a variety of reasons. I hope you're able to accomplish all this and more! LOVE this. I have so many things I want/need to complete...it gets a bit overwhelming. 4. Project Italy. I stopped on Halloween.